A Nobel Peace Prize Nominee Social Activist, Writer and Political Analyst. The U.S. finds itself at the right place, at the right time, but it has chosen the wrong individuals as partners. Partnership with Afghanistan is vital to the U.S., and it's endorsed by the Afghans through a lengthy and democratic process. Emerging threats of ISIL, Russia's aggressive strategy, China's vision of dominance for the region, and Pakistan as a fragile nuclear state require a significant U.S. and NATO presence in the region. 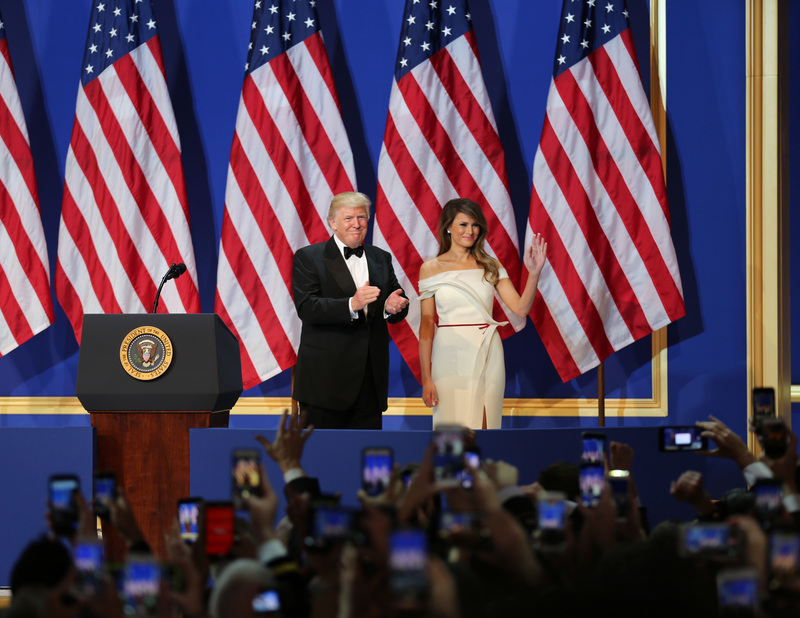 President Donald J. Trump and First Lady Melania greet service members at the Salute to Our Armed Services Ball at the National Building Museum, Washington, D.C., Jan. 20, 2017. Since 2001 the U.S. taxpayers have paid around $113.1 billion for the security and reconstruction programs in Afghanistan, and at least 2247 U.S. military personnel died and more than 20,000 wounded in the "war on terror". Afghans paid the highest price with tens of thousands of deaths and injuries. Yes, Afghanistan is still a leading producer of opium and heroin in the world. It produces at least 75% of the world's opium. It is still among the most corrupt, insecure and unstable countries. But this is not what Afghans want. It is imposed by some corrupt politicians, warlords, transnational criminal groups, and terrorists. The Afghan people benefit the least, and they get the most blame. Remaining among the poorest countries of the world proves that neither the international aid nor the illicit money stays in Afghanistan. Of course, during the last five years in particular, since the establishment of the National Unity Government, Afghanistan remains stuck in a rigorous economic, political and security crisis and is more fragile than ever. Some of the problems were inherited from the previous administrations, and some new issues made those even worse. But this does mean we should give up. Let's look at the last 15 years. Despite all these challenges, overall Afghanistan is better off than it ever has been before. Infant mortality rate was 48.83 in 2001, and it decreased to 34.22 in 2014. Life expectancy at birth increased from 55.41 years to 60.37 years in 2014. Around 9 million people, nearly one-third of the population is going to schools, and women's rights are recovering. GDP increased from 2.46 billion USD in 2001 to 19.33 USD in 2015. Afghanistan is a member of the World Trade Organization, and once again the country has its international recognition and representation. These gains came at a high price and the great sacrifice of Afghans and their U.S. partners. Building on the existing gains and securing the achievements of the last 15 years, would be wise and prudent. 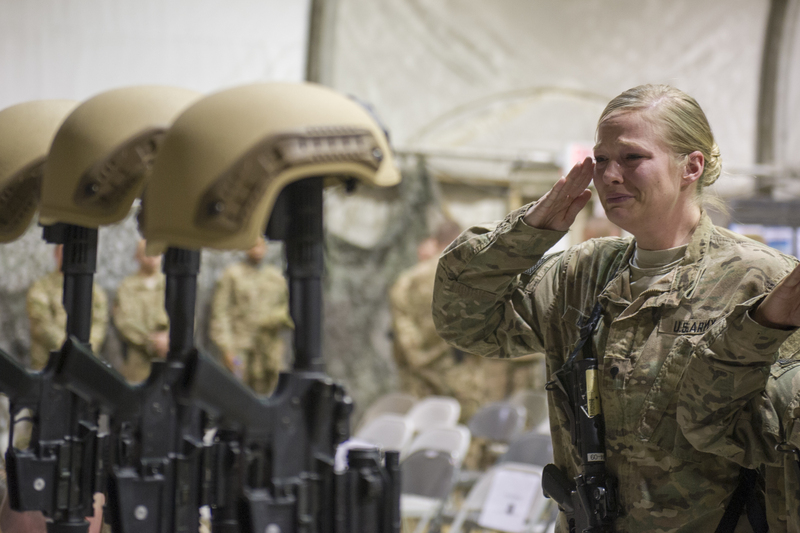 Service members from several units at Bagram Air Field, Afghanistan, pay their respects during a fallen comrade ceremony held in honor of six Airmen Dec. 23, 2015. The six Airmen lost their lives in an improvised explosive attack near Bagram Dec. 21, 2015. President Donald Trump has won the election because he became the voice of many unheard and frustrated Americans. He can also imagine the level of frustration Afghans feel because of a rigged system and their corrupt politicians. They are fed up with the establishment as well. They are also tired of four decades of war resulting in millions of casualties. President Obama has tried his best to end the war in Afghanistan, but there is a big difference between ending a war and withdrawing from a war. Acting with noble intentions, Obama thought that quick withdrawal of the U.S. forces and setting an exit timetable would help the peace process. The results were quite the opposite. President Trump has opposed the U.S. premature withdrawal from Iraq. I commend his position and second his approach. This mistake should not repeat in Afghanistan. A premature exit strategy and rushed timeline never help to end a war - on the contrary, it can assist the Taliban's narrative of "you may have the watches, but we have the time." The reckless military strategy for Afghanistan has made the situation worse. At the peak of the Afghanistan mission, in 2010, the U.S. had around 100,000 troops and President Obama scheduled 99% reduction of the troops after 2015. In several announcements, the numbers dramatically increased and decreased. Per initial plan, there should be only 5,400 U.S. forces in 2017 in Afghanistan, but now there are around 9,800 of them. Some may favor this strategy and call this a flexible approach, but there is no such thing as a flexible war. The war on terror can't be flexible and reckless. This rapid change in U.S. policy during the last seven years has created an uncertain situation in Afghanistan. Afghanistan is a strategic partner and a Major Non-NATO Ally (MNNA) of the U.S. It's expected that the U.S. should have a steady and long-term strategy for Afghanistan. History teaches us that any early decision and disengagement will not make Afghanistan safer place, but rather a safe-haven for terrorists and insurgents. In the late 1980s, the former Soviet Union abandoned the Afghan government. Thus, the regime fell at the hands of the Afghan Mujahedin. In the 1990s the U.S. abandoned the Mujahedin, which was then overthrown by international terrorism and the Taliban. These events ultimately resulted in the 9/11 tragedy in 2001. Afghanistan is rich in natural resources, gas, minerals, and oil. Some initial estimates show that it hosts a value of minerals worth more than a trillion US dollars. Furthermore, the country has significant geostrategic and geopolitical importance. The 4,000 miles long trade route - the Silk Road - passes through Afghanistan, as does the Khyber Pass, which has long been one of the most important strategic military locations in the world. Through Afghanistan, the U.S. has great access to the entire region and helping Afghanistan to extract and sell these minerals will assist the country to be self-sustained and it can make Afghanistan a great business partner. Peace is the only and the best alternative to war. President Trump, as a strong negotiator have an excellent reputation of making deals. So, to put an end to Afghanistan's crises, he should engage in direct peace talks with the Taliban. It cannot be only an Afghan-led process anymore, and so far, all the Afghan-led efforts towards peace with the Taliban have failed. If the insurgents are not included as a part of the solution, it is my firm belief that they will remain a part of the problems only. 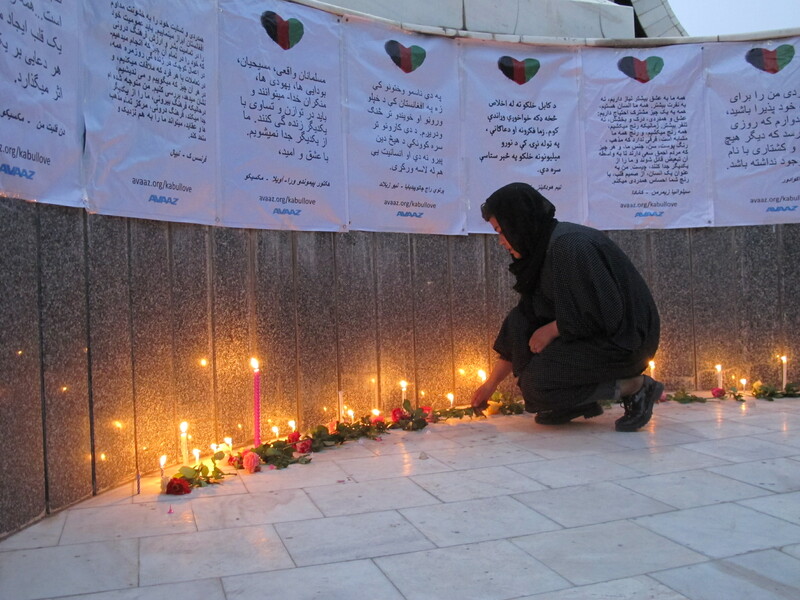 Afghans have been victims of four decades of tragedy and war and they will do anything for peace at this point. Long-term political, military and economic support to Afghanistan, along with the open-door policy for negotiations, are the best way to move forward. If the U.S. abandons Afghanistan, it will turn into a second Iraq and the investment of the last decade will vanish into thin air. 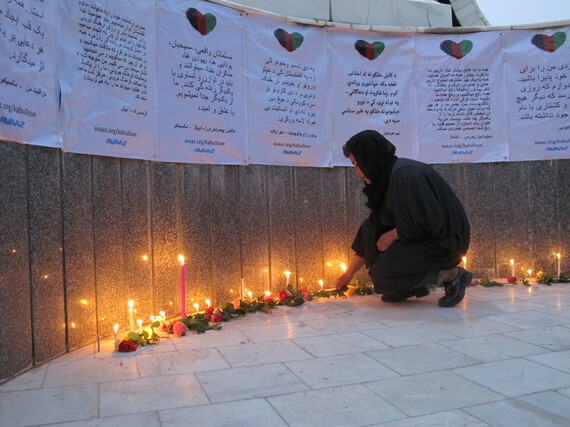 Messages of love and unity gathered from all over the world have been delivered on posters by Avaaz to citizens of Baghdad, Kabul and Mogadishu after the cities were hit by deadly terror attacks in the past month. The U.S. must abandon the corrupt Afghan politicians and warlords, but not all the Afghans. Dealing with the mess in Afghanistan might not be easy, but it's certainly not impossible. I am confident that President Trump's engagement and interest in Afghanistan affairs will be helpful and indeed an asset towards the noble goal of a stable and prosperous Afghanistan and long-lasting Afghan-U.S. partnership.